TORONTO, ON, CANADA – August 23, 2017 – Today MeazureUp welcomes newest member to their customer roster, sports bar The Greene Turtle. With 45 locations across America, MeazureUp ensures that the Maryland native chain will have immense improvement with their operational consistency throughout. The Greene Turtle is more than just your average sports bar and grille. It’s a community hangout for all demographics, that serves quality food and drinks in a fun, casual atmosphere built on the excitement and unity of sports. The MeazureUp solution offers Greene Turtle’s management the capabilities they need to make impactful operational decisions. The application provides in-audit functionality such as live photos, comment and action plans, accessible from any mobile device or tablet. For the District Manager’s (DM’s) at The Greene Turtle, this is going to add the utility they have been looking for from their field assessment process. Leveraging the MeazureUp Business Intelligence Center, management will also benefit as they can see in real time, the full analysis and breakdown of each assessment aggregated together all in one place. MeazureUp is looking forward to working with Mark and the Greene Turtle team! 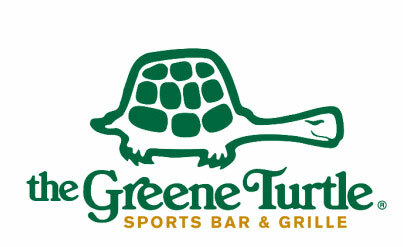 First opened in Ocean City, MD., in 1976, The Greene Turtle Sports Bar & Grille® today includes 44 locations in markets across Maryland and extending into Washington, D.C., Virginia, West Virginia, Delaware, Pennsylvania, New Jersey, Long Island, New York. Combining comfort food, a casual atmosphere and a sports bar theme marked by big screen TVs broadcasting local and national events, “The Turtle” has become a popular year-round destination where families, friends and fans of all ages feel at home. CBS Baltimore named The Greene Turtle Sports Bar & Grille® among the best local spots to enjoy “March Madness.” Information is available online at www.thegreeneturtle.com and www.facebook.com/thegreeneturtle. MeazureUp is a cloud based software company assisting over 2500 Users and 50 brands ranging from 2-500 locations manage their operational and brand consistency. Using the MeazureUp solution, organizations are able to gather internal information with detailed analytics and operational intelligence using a digital platform. With thousands of locations currently on board, MeazureUp is able to help owners and management focus on their core concern, growing their business. For more information visit MeazureUp site at www.meazureup.com or contact info@meazureup.com for any inquiries.